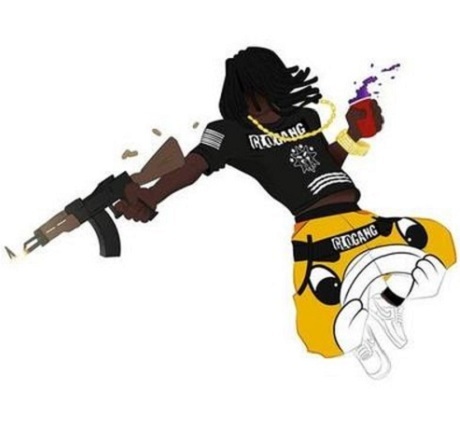 It's spectacularly difficult to keep up with the details of Chief Keef's catalogue, with not one but two new releases coming sometime soon. Will latest leak "This Da Squad" be on the long-promised Bang 3, or the bizarrely titled i>B4: DA EP BFO B3 EP. Damned if he even knows at this point, but you can check out the new track now, all the same. A lengthy intro of twinkling synths builds up for close to a minute, with the PopsOnDaBeat-produced cut eventually streaming in the sounds of shotgun pumps, EDM synth screeches and a determined boom. Keef spares the AutoTune this time around, letting his unaltered tone go hard on lines about his pricey ice and the sound of a gun. Richie Stackz takes over the sermon with a verse about blowing on that loud and making that paper via a trunk full of bricks. You'll find the monetary-minded economics lesson down below.